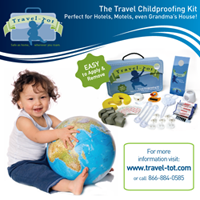 Travel-Tot: "Scare" Up Some Family Smiles! "Scare" Up Some Family Smiles! Decide on a theme for your scarecrow - everyone write down an idea and select one at random or hold a vote! Stuff clothes with hay, mingle liberally with laughter and enthusiasm. Carve (or paint!) face of pumpkin, sprinkle with glitter, giggles, and love. Arrange your creation together, finishing with shared family stories and seasonal snacks! 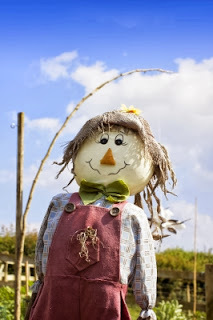 Once completed you have a magnificent scarecrow, and memories that will last a lifetime! She mentioned that she still thought of all those years her family kept up their tradition every time she saw a scarecrow and that she planned to keep the tradition alive with her daughter once she was old enough to participate! Monday Giveaway: Hyland's Taste and Soothe Event! 3 Tactics for Dodging Germs! Find a Farm and Family Fun! Safety Check: Car Care Month!